We’ve teamed up with award-winning florist Chirpee Flowers to bring you a blooming marvellous competition! 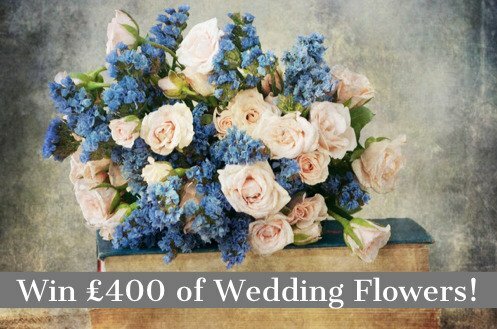 We’re giving away £400 worth of the highest quality faux wedding flowers accredited for realism by The British Floristry Association. The prize includes one bridal shower bouquet featuring white orchids, white sweet peas, ivory hydrangea, ivory garden roses, lily of the valley and trailing foliage; two bridesmaids’ posies which will be smaller versions of the bridal bouquet and a groom’s buttonhole of a white rose and foliage. We're also giving the first 40 subscribers to the competition a free 26-page photobook by Huggler worth £17.99. But that's not all! Everyone who uses our wedding quote generator tool during the competition could receive one of 10 £20 John Lewis vouchers! 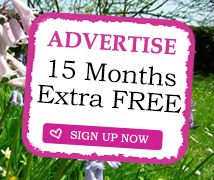 To learn more and enter CLICK HERE! Choosing the right wedding entertainment is an important aspect to consider for your special day as it needs to be suitable for all ages, fun, memorable and enjoyable for all your guests. Finding an activity that keeps your guests occupied between the ceremony and the wedding breakfast can be a difficult decision to make. As one of the most sought-after wedding venues in Leicester, our newly refurbished hotel offers a one-of-a-kind backdrop for your wedding day with a selection of beautifully designed, light and atmospheric rooms to choose from. Host an unforgettable self-catered wedding in the stunning Grove Suite; our largest event space that holds up to 300 guests. Why Book Platinum-DJs.com 1. Packages for most budgets, so everyone can enjoy. 2. Platinum DJs successfully creates this atmosphere EVERY time. 3. Fantastic, Professional Wedding/Event/Club DJs. 4. The best sound equipment - featuring club spec Subs and Main Speakers. 5. Impressive modern Lighting and LASER Shows. Mood/Up Lighting. The Little Kitchen Company are providers of bespoke catering services in Winchester and the surrounding areas of Southampton, Basingstoke, Bournemouth, Portsmouth and Hampshire. Our passion is creating delicious and gorgeous food for all occasions, especially for you. Crystal Heirlooms offers an eclectic collection of one-of-a-kind tiaras and hair accessories, each individually designed and skilfully created around beautiful vintage jewels and silk flowers from more romantic and elegant times. We offer designs to perfectly complement your dress, hair style, wedding theme and colours. BOOK YOUR WEDDING OR HONEYMOON OVERSEAS ! Tailor and Made Travel is the independent travel consultancy of Tracey Strand. Tracey has worked within the travel industry for over 30 years enjoyed travelling to 65 countries and 6 continents. We offer a wide range of Ocean and River Cruise. savings scheme towards your dream holiday or honeymoon. Bridal Pieces is an on line retailer of bridal accessories to complete your bridal look. Based in Cheshire in the UK, we source beautiful products from all over Europe. We have bridal shoes, from vintage peep toe, lace high heels to ribbon tied ballet flats, with shoe clips and trims to add glamorous detail to a plain satin shoe or bag. Also we supply Tiaras, headbands, hair combs and clips and all manner of hair accessories. Hire a photo booth for your wedding, party, birthday or corporate event and receive exceptional quality photos, providing timeless memories for you and your guests! Prices from only £350 Full 3 hours hire We have both enclosed and open booth. Our new heart shaped design photo booth along with our enclosed booth. We are the marquee wedding specialist covering the North of England. What sets us apart is the transformation of the interior, using contemporary drapes and linings, a variety of spectacular lighting effects, a wide range of banquet and chill out furniture and the all important finishing touches and extras to complete the look. We know how important your big day is, we're here to take some of the stress away! Our experience and knowledge performing to all our clients is exceptional, we pride ourselves on the great reactions we've received from all our brides, grooms, family & friends. KW Events is a professional entertainment company specialising in supplying DJ's and Magicians for Weddings and Engagement parties. With many different DJ packages and our beautiful 5ft LOVE letters, our aim is to make your special day hassle free and extra special! The Perfect Pamper Mobile hair and Make up Bridal Services. It's important to find the right hair and make up artist that you connect with and who understands your needs. We at The Perfect Pamper will match you with talented and skilled stylists to create your own individual style for you. My name is Sonal, I am based in Harrow, Middlesex and travel to most places. I am a Wedding and Ceremonies Celebrant helping to create unique ceremonies in beautiful locations. As your celebrant l can give you the freedom to celebrate and remember without restriction. Whether you require a celebrant for a wedding, renewal of vows ceremony, naming ceremony, funeral or memorial service, we can work together to create the perfect celebration and make it special, unique and memorable. Perfect Fit Bridal Couture is a bridal design studio in Leeds, West Yorkshire providing “The Complete Bridal Service “ . Designing and creating beautiful, enchanting bespoke wedding dresses for the fashion forward bride, who may be looking for something a little different and unique to them. The Horsebox UK now consists of two attractive rustic style 1960’s Rice Horsebox trailers that have been lovingly restored and converted into a mobile catering units. Providing award winning Barista Coffee & Hot Drinks alongside Grilled Cheese Sandwiches "Posh Toasties" including different specials each day. We create a seasonal & location specific bespoke menu. Barnutopia is nestled in the stunning Shropshire countryside with views of the Powys hills. The long barn can seat up to 120 guests comfortably and has a dry bar you can stock yourself (no corkage). The Dutch barn is a fabulous indoor/outdoor space where you can have campfires in the evening. The little barn has a chill-out area with leather sofas.